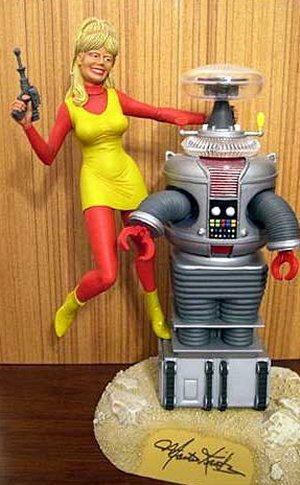 This great kit of Judy Robinson of the great Sci-fi TV Show Lost in Space. Approved by Marta Kristen herself! 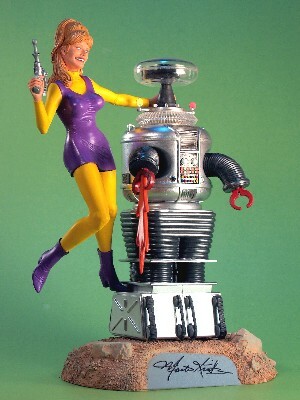 This all resin figure kit is in scale with the Polar Lights Robot model and is designed to be displayed with that kit. Produced by Jimmy Flintstone, this kit comes in three parts and also includes a custom base with Marta's signature in raised lettering. 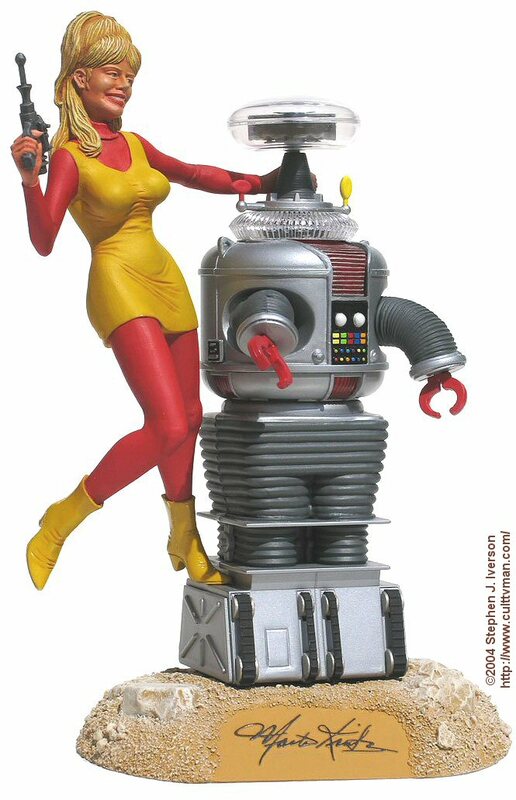 The Polar lights Robot does not come with the kit.